Dooley is using Smore newsletters to spread the word online. What a delightful Grandparents' Day Lunch made possible by our tireless and visionary PTA! Please see the highlights below for this week's happenings! AVID, College, Feeder Tees with Jeans or Pack Green Day. Go green with celery sticks, broccoli florets or a crisp green apple. Choir Rehearsal with Ms. Wooten, after school until 4 p.m.
Baby carrots, orange segments, dried apricots, or orange juice. Good News Club in Library, 3- 4 p.m. Walk to School Wednesday, Athletic Wear Attire or Pack Red Day. Wedges or a delicious red apple. Bricks, Bots & Beakers in PTA Room, 3-4 p.m.
Bananas, yellow peaches, pineapple, or unsweetened applesauce. Young Rembrandts in PTA Room until 4 p.m.
Dooley Spirit Shirt & Jeans or Pack Purple/Blue Day. 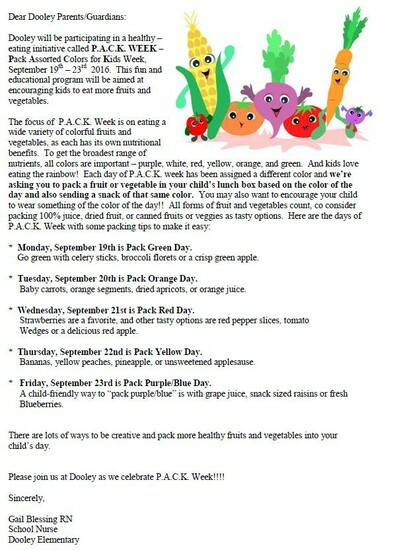 A child-friendly way to “pack purple/blue” is with grape juice, snack sized raisins or fresh blueberries. Plano Balloon Festival this weekend! 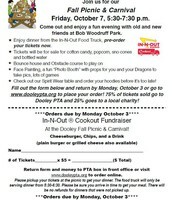 September 28th - Dooley's Dairy Queen Day @ Ave K, 3-10 p.m. Pink is the new Dooley Blue! 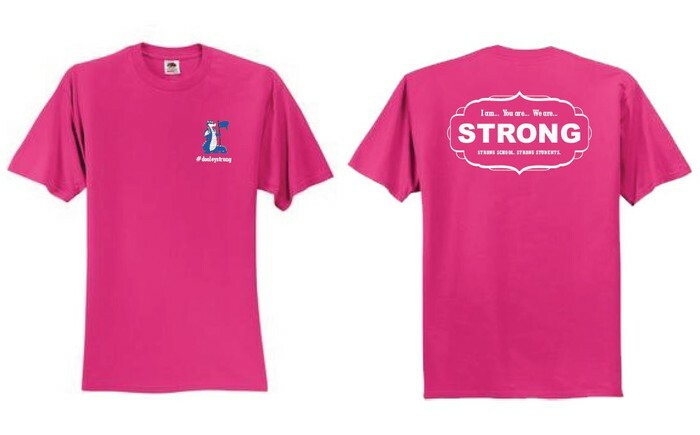 These are new Spirit Tees will be on sale for $15 at the front office for staff and students! 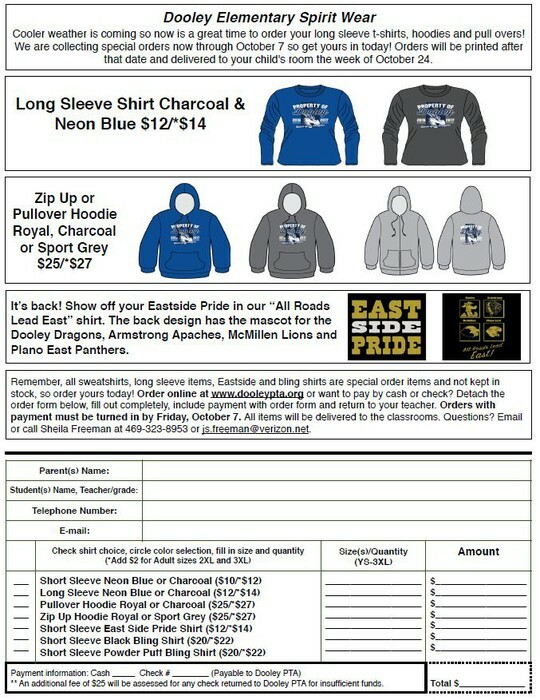 Orders forms will be sent home soon through the end of the month. Checks will need to be written out to Dooley Elementary School with the student's name, grade level, and ID # needs to be written on the memo line. has just announced the 2016 Dallas Celebration of Reading Student Essay Contest, which is open to North Texas students in grades 4-8. This year’s essay contest is based on The Hero Two Doors Down, the bestselling children’s book by Sharon Robinson. Contest winners, accompanied by their parents, will be recognized at a special VIP breakfast with Robinson on Monday, October 24, 2016. Submissions are due Friday, September 30, 2016, by 5:00 p.m. CDT. More details and the contest entry form can be found in the attached PDF, or at www.barbarabush.org/dallascelebrationcontest. This has been a great way of recognizing a well-rounded student and highlighting the positive behaviors that lead towards being a life-long leader and learner. Be on the lookout for a “Golden Ticket” in your child’s take home folder. We appreciate the efforts you’ve made as we continue to create the safest environment for our Dragons as they enter and leave the campus. Please continue to follow our campus policy for arrival and dismissal to ensure the safety and security for all Dooley Families. More detailed information is found in the Dooley Parent Handbook provided to you at the beginning of the year. Early Bird Drop-off is at the back of the campus from 7-7:20 a.m. for all students desiring an early start and quick access to breakfast. From 7:20 to 7:45, arrival takes place at the front of the school. Parents who desire to enter the building to have breakfast with your child should enter through the front office to obtain a visitor's badge obtained with a government issued ID. Breakfast is served until 7:35 to allow students adequate time to eat and get to class by 7:45 a.m.
Student’s day begins at 7:45 a.m. Arrival after 7:45 a.m. is considered tardy. Excessive tardies (greater than 10, may result in a truancy filing). Please have your Blue Dismissal card visible in your car on your front dash from when your child is called to when your child enters your car. This helps with an expedient loading of your child. Please respect the flow of traffic by helping to move any booster seats to the right passenger side so that our Safety Patrol and staff do not have to enter the traffic flow to open the door on the side opposite of the loading curb. Should your child not be able, yet, to fasten their seat belts independently, please pull over to the left hand lane/parking area, so that you may stop your car to help your child safely secure their safety belts. This helps us maintain the flow of traffic for all of our Dooley Families. 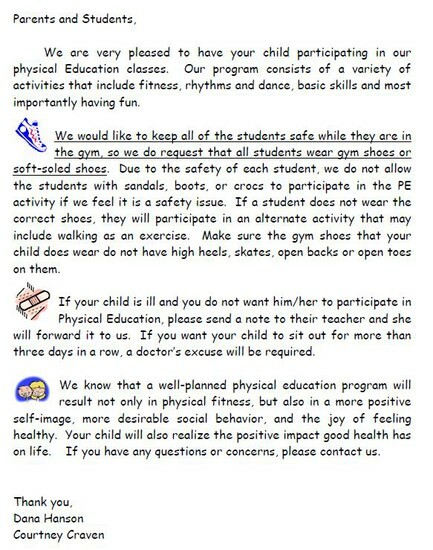 Wednesdays- Athletic Wear as we promote Walking to School on Wednesdays and/or committing to walking around the lake. The school year has kicked in and it still feels like summer, so shorts and tanks are in; however, all students must follow district policy on dress code. Please review the following link. Should a student not be in compliance with dress code, they will be sent to Counselor Cartwright for a change of clothes and/or parent will be contacted to have the option to bring a change of clothes. We want to make sure our students are comfortable and have their personal style within the district policy. 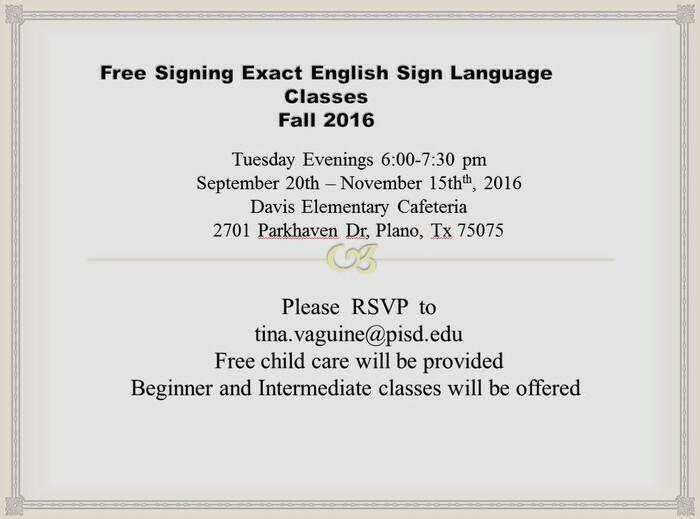 PTA News at your fingertips! 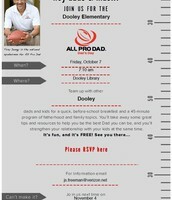 Our first All Pro Dads meeting is Friday, October 7th!! 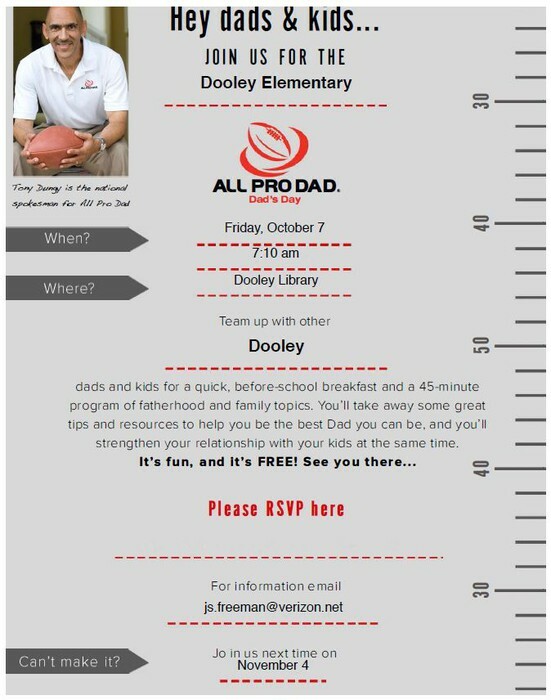 We hope Dads can join us before school with their Dragons! The weather will turn cooler soon!! 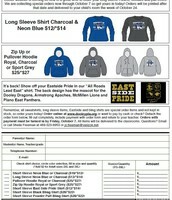 Get your Spiritwear orders in for tees, long sleeve tees, and hoodies NOW! Wednesday, September 28th! Join us at Dairy Queen for a treat! 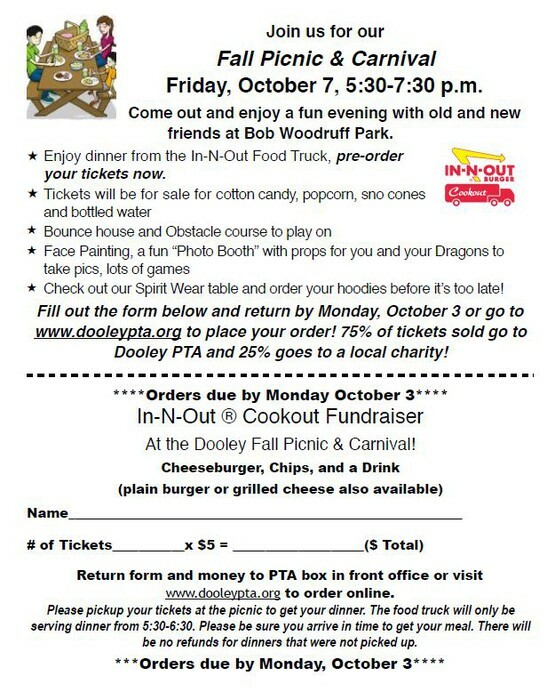 15% of all sales from 3-10pm go back to Dooley PTA! Mission Statement: We are dedicated to providing an excellent education for each student.